“The purpose of this event is to showcase and celebrate the wide range of innovative work undertaken by funded CHEP and TFL projects during 2010-2011, and some ongoing work from projects funded in previous years. In addition, and importantly, it aims to allow all participants to share and learn from each other’s practice. I will be chairing one of the parallel sessions but also in my role as rep for the UK Centre for Bioscience I will be “manning” a stand with useful materials from the Centre. As time permits I will also post a few tweets using the #CHEP11 hashtag. The programme for the day, as taken from the Festival website, is included below. UG runner up (and alternative format): Farhaanah Ali, Social Sciences, Law. It seems that with the majority of new technical innovations a helping hand is needed for new adopters. The video below summaries this nicely! UK Centre for Bioscience – Responses to: Conservation, Consolidation or Creativity? 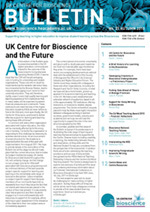 I was asked to respond to Kevan Gartland’s piece in the UK Centre for Bioscience Bulletin 32, Spring 2011 “Enhancing the Bioscience Community: Conservation, Consolidation or Creativity?” on the demise of the HEA Bioscience Subject Centre. I have reproduced my response below. 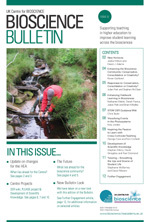 Kevan’s piece and a further response by Julian Park are available in the online version of the bulletin. There is no doubt that the UK Centre for Bioscience has done much to raise the profile of excellence in teaching and learning with many in the Bioscience community having benefited from its hallmark, high quality resources and supportive networking events. Despite its many positive attributes decisions taken in recent times appear to herald an untimely end for the Centre. So what can be done to prevent the good work of the Centre slowly drifting off the radar? occasional blog posts and sharing of papers and ideas helping to keep the conversation going. In fact this in silico networking has already happened to some degree within the bioscience education community and may be the catalyst for the organisation of face-to-face networking opportunities organised around specific themes that emerge in the future. Could the facilitation of such events be handled by the new structure at the new HEA? 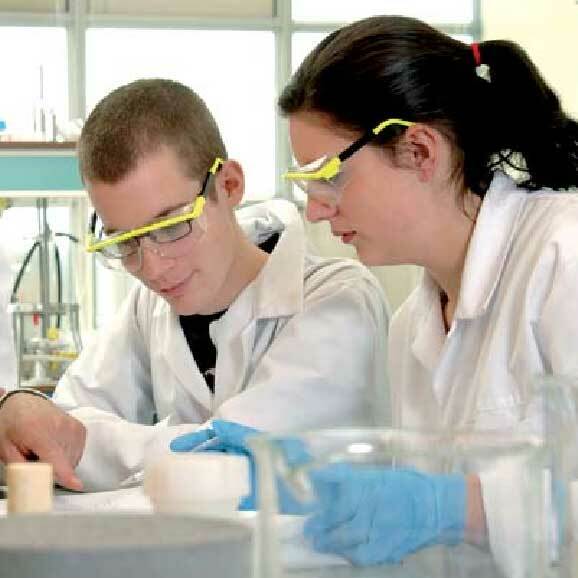 In its myriad of functions the UK Centre for Bioscience has performed a very important role that lies close to home for each dedicated teaching practitioner in the Biosciences. It has added a level of credence to excellent teaching practices that may sometimes be overlooked in research intensive environments. It therefore has helped to raise the profile of teaching and learning within institutions thus removing the feeling of isolation that can sometimes exist for teaching-focused colleagues. This aspect of its support will be sadly missed. It is my hope that in the post-UK Centre for Bioscience era we who have benefited much will continue to sustain the current network, share resources, encourage and mentor junior colleagues and collectively raise the standard of excellence in teaching and learning in the biosciences. But in this regard the ball is firmly in our court. The University of Ulster’s 9th annual eLearning conference was held today on the Jordanstown campus and again provided a good opportunity to explore all things in teaching and learning with a USB cable attached. One of the highlights for me was the opening keynote address by Peter Bullen from Hertfordshire who reminded us that there is no real pedagogy around the technology that assists learning; but rather around the teaching and learning activities themselves. He encouraged the audience to try to better understand the value of every learning activity and then concentrate on value; not cost. The other main highlight of the conference for me was a session led by Sal Cooke on the activities and resources of JISC TechDis. This highlighted such tools as Xerte and many of the accessibility resources available through the JISC TechDis website. There are too many to individually describe high, so please take a look if you are interested in making Microsoft documents more readable. My Tweets from the event are below. Following on from my last post “Don’t Forget About Your Subject Centre” I decided that another quick post highlighting some of the supportive practice of the UK Centre for Bioscience was in order. Last year I was delighted to be short-listed for the Ed Wood teaching Award organised by the Centre. I found the entire process very supportive, unobtrusive and prompting further refection of my own teaching practice. Each of the finalists was asked to record their reflections of the process and these may be read in full in the Centre’s latest bulletin. I have quoted my reflections below. Put simply, the Ed Wood Teaching Award process is straightforward, supportive and highly beneficial. When I applied for the award it was with a certain degree of trepidation as to what might be entailed, however I discovered that the most challenging part was completing the application form in a manner that succinctly conveyed the teaching practice I was offering up for consideration. Once that was done and I had been shortlisted the rest of the process allowed for reflection on my own practice during the observed teaching sessions and the ensuing interviews and evaluation, culminating in the production of the case study. This part of the process I found very helpful and unobtrusive given that the teaching observations and interviews were carried out during one of the busiest times of the academic year. The case study was written by Sheryl and passed back to me for comment; the whole process being very supportive with minimal stress for the academic. While I have benefited from a working environment where innovation in teaching and learning is encouraged, supported and rewarded, the Ed Wood Award process allowed me to gauge how my teaching practice was perceived on a national level by peers and closer to home by my own students. Applying for such awards is as one of my own colleagues described “like putting your head above the parapet”. However, in terms of reflecting on your teaching practice and having it supportively evaluated and showcased on a national level I highly recommend being involved in the Bioscience Teacher of the Year Awards!